Blockchain & cryptocurrencies lawyer, Certified C Developer, Managing Director at Blockchain Advisory Ltd., President of Bitmalta. Jonathan’s considerable experience in the blockchain sector ranges from a close study on the developing regulation in the area to hands-on experience in the technical and economic aspects of cryptocurrencies, one of the most widely-adopted uses of the blockchain so far. Jonathan’s LL.D. (Doctorate of Laws) thesis was titled “The Effect of Bitcoin on Money Laundering Law,” and being completed in May 2015, it was one of the first ever legal theses on the subject. He has been following developments in the area for five years and moreover has also participated as a keynote speaker in several conferences both in Malta and abroad, covering the legal, technical and economic aspects of DLT and cryptocurrencies. 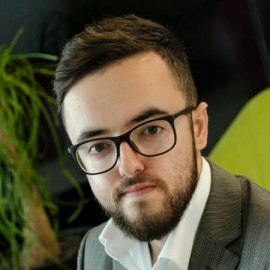 Jonathan’s expertise consists of legal advice on regulatory matters related to DLT and cryptocurrencies in general as well as technical advice on DLT and platforms built on top of DLT structures. He is an active member in various crypto-communities and is experienced in the mining, trading, investing and analysis of cryptocurrencies. He heads an advisory business with the name of Blockchain Advisory Ltd, offering consultancy services about blockchain technology, initial coin offerings (ICOs), cryptocurrencies, and so on. Jonathan is also the President of Bitmalta, the first non-profit association in Malta dedicated to advocating the blockchain technology and cryptocurrencies with a particular focus on the Maltese islands. Moreover, apart from completing various courses related to blockchain technologies and attending various seminars.